What is the Difference Between Super Powers and ADHD? October 21, 2014 October 23, 2014 karinshah2 Comments on What is the Difference Between Super Powers and ADHD? 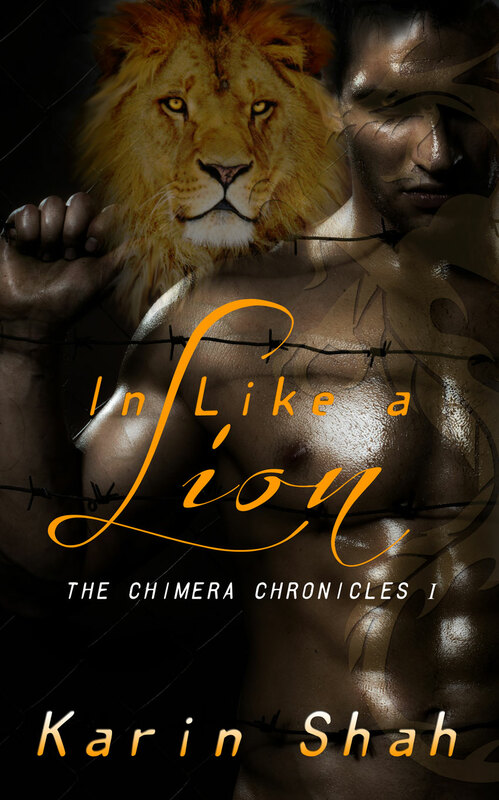 He’s a powerful shifter imprisoned by a madman. She is the doctor who can set him free or sentence him to death. Nine year-old boy child, heart of my heart, was diagnosed ADHD last year. He is such a loving child and empathetic. He gets very upset in the scene in Harry Potter and the Order of the Phoenix when Professor Trelawney is almost ejected from Hogwarts. However, he’s easily distracted and struggles with the rigid structure of school. I got thinking about attention deficit disorder and have come to the conclusion that the supernatural powers I have given my chimera characters, sensitive hearing, sense of smell, extreme visual acuity, etc., might have had the same impact as ADHD before they understand and can control them. In fact I do think in some ways ADHD is an advantage. In ancient times, when we were hunters and gathers on the savannah, being distractible and acting on your first impulse was probably an important survival skill, waiting to see exactly what was lunging out of the tall grass could get you killed. Jake, from IN LIKE A LION, is the seventh son of a seventh son, and comes into his powers very early. The rest of my Chimeras don’t start to exhibit signs until around thirty. After I started thinking about this, I couldn’t stop until I written a little vignette about Jake as a kid at school. Ten year-old Jake Finn cooled his hot, sweaty face on the surface of his school desk. He swallowed, his heart dropping out of his throat back to his chest. He’d made it just before the bell, thank God, his foster parents would let him have it if he were tardy one more time. Not because they cared, of course, but because he’d reached the limit of his tardys, one more and the school would notify his social worker. A wave of perfume announced his teacher, Miss McCurdy’s approach. He nodded because it was no use denying it, his stomach in a knot. He lifted his head in her direction, she flinched and he looked down again to hide his eyes. “Yeller eyes,” his foster mother called them. He called them bad luck, drawing attention to their ugly color always ended up being bad for him. “Well, next time leave earlier,” she said, and stood, turning swiftly as if impatient to get away, and judging from the rapid heartbeat he could hear as she moved across the room, she was. The bell rang, causing a swift jolt of pain as it seemed to rebound inside his head. His eyes watered. He covered his ears and sighed, his humid breath fogging the shiny desktop. He could have told her he’d left in plenty of time, but he’d only end up in trouble. He’d dropped off his younger foster sister, Embry, at her K-3 school with time to spare, but there was a vacant lot kitty-corner from the school and a rabbit, startled by who knows what, had launched into a mad dash down the street. He hadn’t meant to follow it, but something inside him had taken control. When he’d come back to himself, he’d been blocks from his school about to be late one time too many. The imagined smart of a belt on his back had spurred him to breakneck speed, his sneaker slapping the pavement, his breath sounding in his ears. He shook his head and pulled out his supplies as the teacher went through the morning routine. An air current laden with the scent of bodies and the hamburgers from the cafeteria feathered his face. His stomach rumbled. God, he couldn’t wait until lunch. He fought through the lure of the meat, and wrenched his head toward the front. He closed his eyes against the exasperation pinching her features. Embry’s shoe had been missing and in the rush, he’d left his book at home again. Comments give me warm fuzzies, so what do you think. Is ADHD a super power? Next Do You Believe in Ghosts? Yes I think you are son to something. Love the vignette. Both my boys had ADD. Did you know Rick Riordan wrote the Percy Jackson series to explain his son’s ADHD? His hero had ADHD because he was the son of a God and his brain was hardwired for Greek.